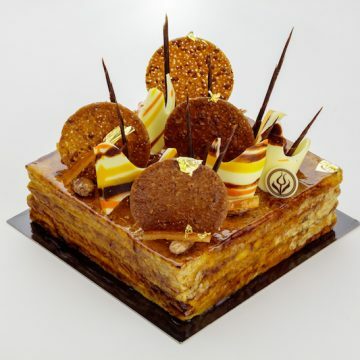 A passionfruit crémeux on top with a passionfruit mousse paired with a caramel mousse and fresh lychee in the center, the bottom is a crisp puff pastry. 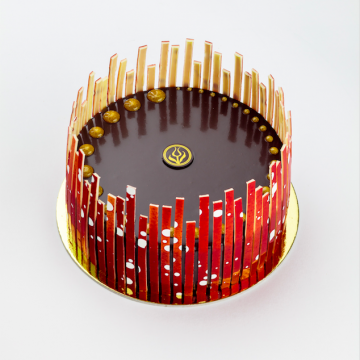 A fruity dark chocolate mousse paired with a light raspberry mousse and rich brownie cake. 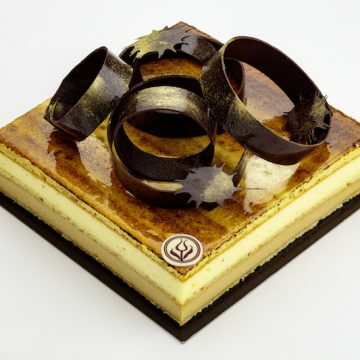 Layers of thin vanilla cake with caramel mousse and thinly sliced poached pear. Cappuccino mousse and light vanilla chiboust with caramel almond sponge cake. 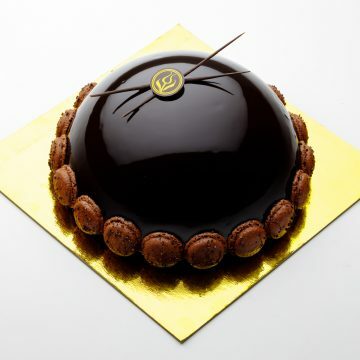 Chocolate cake with layers of chocolate mousse covered in chocolate ganache. 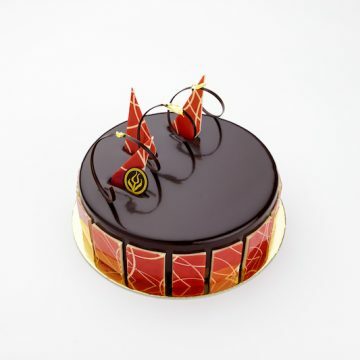 Milk chocolate mousse with dark chocolate mousse with layers of gluten free chocolate cake. 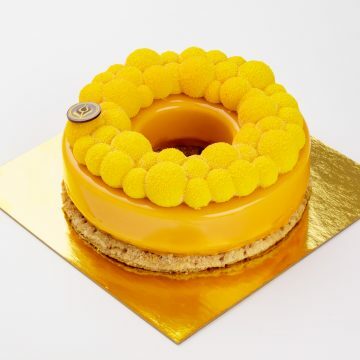 A tart lemon curd with a sweet tart shell topped with meringue peaks. 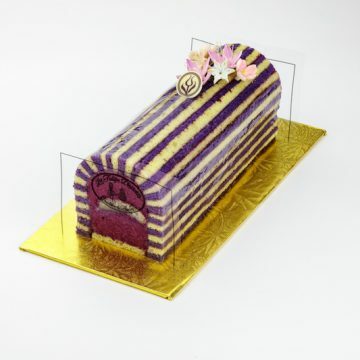 A light cassis mousse with a soft almond cookie center with thin layers of sponge cake and raspberry preserves. 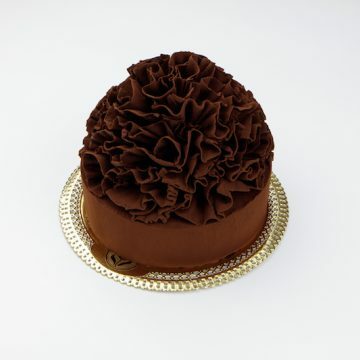 A decedent Gianduia truffle filling with Brandy soaked Italian Amerana Cherries with thin layers of chocolate sponge cake topped with ruffles of dark chocolate.